Rainbow Nails for the #31DC2017Weekly - Polish Etc. I hope you all had a wonderful weekend. I sure did! I was in NYC for Polish Con. This was the second installment of The Polish Convention and it was even bigger than the first. I will share more about the Con later. But I had to get this week's edition of the #31DC2017Weekly up for you. We are closing out the first set of prompts which are all about colors. Ending on rainbow of course. 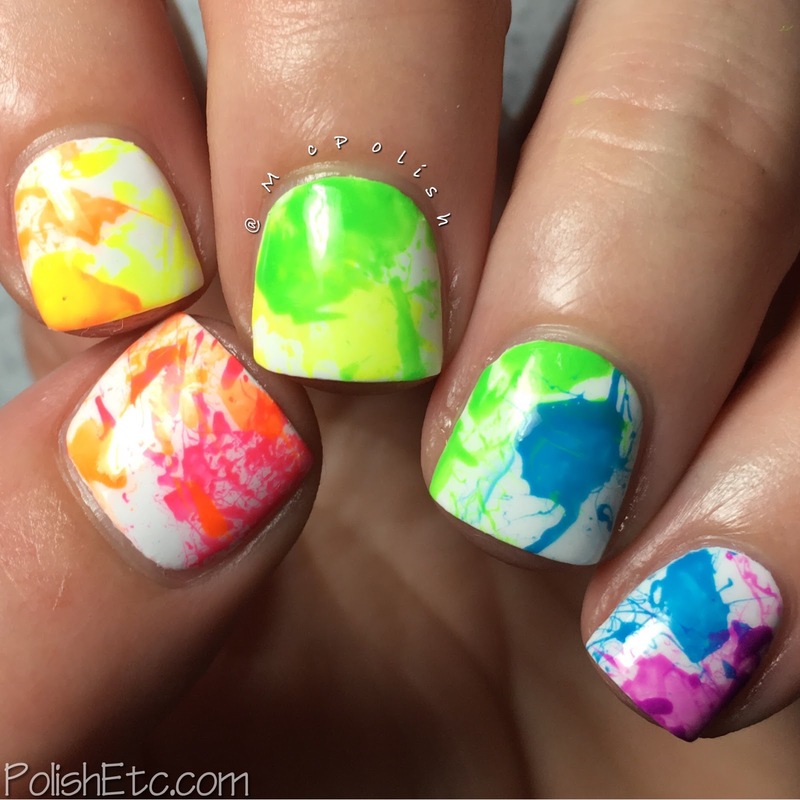 I revisited a mani I first did for the #31DC2013...a rainbow splatter mani. I started with a base of white. 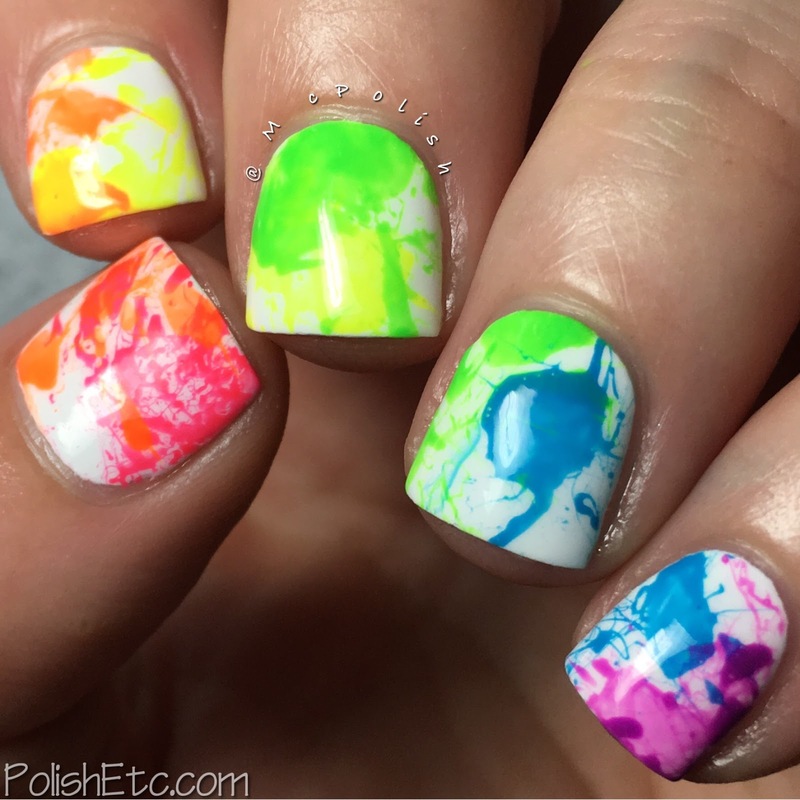 Then, using all six polishes of the soon to be released All The Bright Moves collection from KBShimmer, I created a rainbow of splatters across the nails. I did as close to ROYGBIV as possible from thumb to pinkie. I used a straw to create the splatters and it was just as messy as you are imagining. But it always looks so cool. Next, to add a little something extra, I added some black glitter. I always love the contract of black and white with neons. That little splash of black really gives it an edge in my opinion. The blacck microglitter topper is Black Speckled by InDecisive Lacquer. 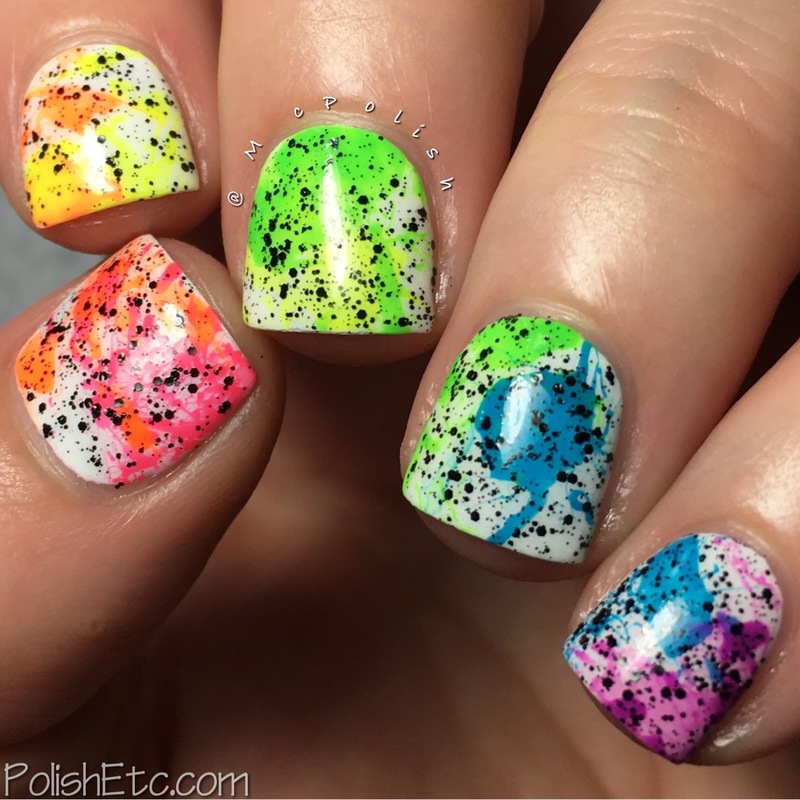 Everything is topped with Clearly on Top by KBShimmer. The All The Bright Moves Collection will be releasing this Friday. Stay tuned for a full review of all of the fun neons later this week. They are great! 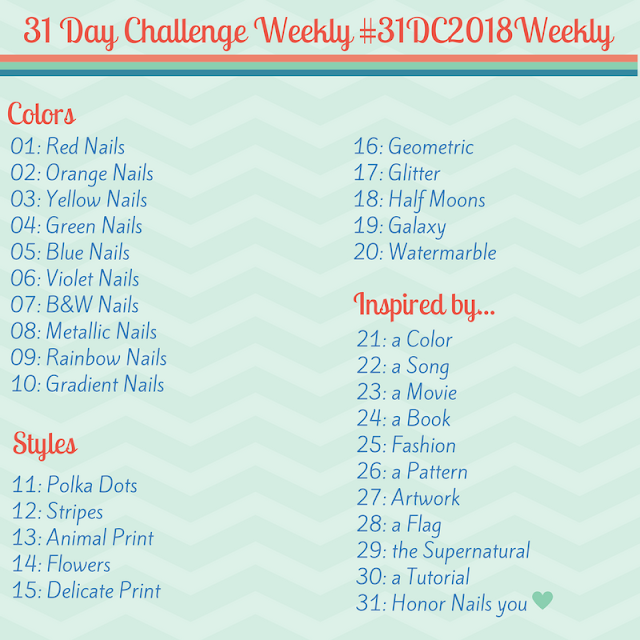 Also, be sure to check out all of the other nail artists participating in the weekly challenge this year. Just check out the tag #31DC2017Weekly tag on Instagram, Facebook and Twitter. Whatever! Your dry brush was way better than this. I loved it!